1.11 MB, 1920x1080px, 6 secs. 8.92 MB, 3840x2160px, 6 secs. 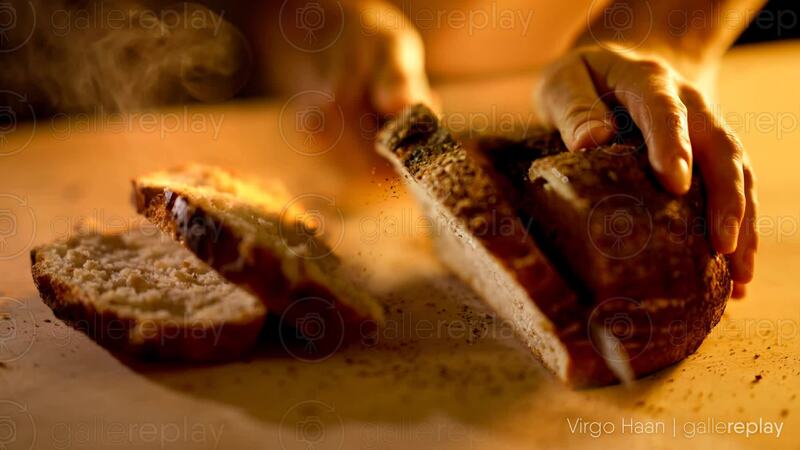 A pair of hands slice a steaming loaf of bread, taken straight from the oven.